From Netflix's original series Stranger Things, some of your favorite characters from Hawkins, Indiana are joining the Funko action figure line! Each figure stands 3 3/4' tall and are fully articulated. Set #1 includes Lucas, Mike, and Eleven figures along with accessories like Eggos, a walkie talkie, binoculars, and more! 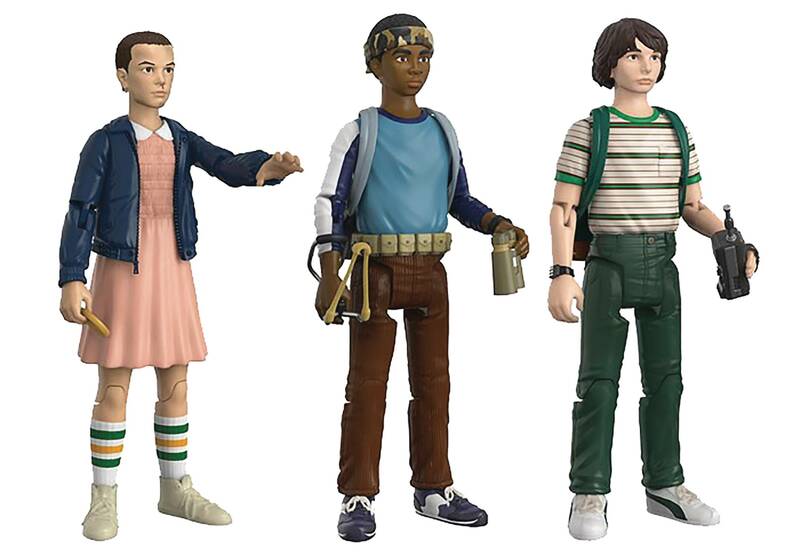 Set #2 includes Will, Dustin, and the Demogorgon figures along with character specific accessories! The set comes packaged in a hangable window display box..